Subscribe to the Flashlight Press Newsletter to be the first to know about new books and news from Flashlight Press. May 20: Jason Lefebvre, author of Too Much Glue, will spend the day at Gov. John Fairfield Elementary School in Saco, ME. May 20: Jodi Moore, author of When a Dragon Moves In and When a Dragon Moves In Again, will be at the Centre City School in Mantua, NJ. May 25: Jason Lefebvre, author of Too Much Glue, will be the speaker at the annual meeting for (WAAEYC) Worcester Area Association for the Education of Young Children at 6:30pm. June 13: Josh Bledsoe, author of Hammer and Nails, will return to Barnes and Noble in Cool Springs/Brentwood, TN for a reading and signing. During the holiday season, Jennifer Jacobs discovers that she is the only Jewish student in her class. She is thrilled and so creates The Only One Club, of which she is the only glittery-badge-wearing member. When her classmates want to join her exclusive club Jennifer at first resists, but she later realizes that each person is “the only one” at something. She makes glittery badges for everyone, and distributes them while revealing the quality that makes each friend “the only one”. This book will encourage children to discover and treasure their own uniqueness and to look for unique qualities in others. We hope kids will want to make their own Only One Club badges and start these clubs with their friends. Chosen as on of Barbara’s Top 25 Character Education Books. Jennifer, the only Jewish child in her first-grade class, is given the honor of making Hanukkah decorations and she basks in the glow of all the attention. The next day, flush with pride, she proudly sports a button proclaiming “The Only One Club” to celebrate her uniqueness. As other classmates ask to join the club, Jennifer resents their intrusion even though the children point out their own special traits. Later that night, she rethinks her response to her classmates and knows just what she must do. She returns to school with buttons for everyone because everyone has something no one else has. 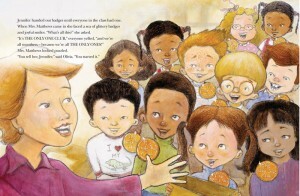 The class—in an animated response—gleefully acknowledge the things that make each of them stand out:Jonah’s red hair, Alex who was born on a bus, Julia who can jump Double-Dutch, and Steven with his big “humongous front teeth.” This simple story with its expressive mixed-media illustrations addresses diversity and uniqueness while recognizing a child’s need to belong to the group. The story works beyond the holiday season and multicultural classrooms can use the book as a springboard for discussion. When six-year-old Jennifer Jacobs’ first grade class begins working on Christmas decorations, she quickly informs her teacher that she doesn’t celebrate Christmas, but rather Hanukkah, for she is Jewish. Soon, Jennifer realizes that she is the only Jewish child in her class, and decides to make The Only One Club, in which she is the only member. However, as word gets around about her club, Jennifer begins realizing that there are many other children in her class, and in the school, who are the only one of something, and quickly makes badges for everyone in her class, informing them that they too can be a member of The Only One Club.While I am not Jewish myself, I find that there are so few books on the market for Jewish children around the holidays. So I was quite awed by the arrival of Jane Naliboff’s THE ONLY ONE CLUB. The prose is wonderful, and teaches children that everyone is unique, whether it’s the color of their hair, or eyes, or their religion, or beliefs, while the illustrations by Jeff Hopkins couldn’t be cuter. This is a lovely children’s book to pick up this holiday season, whether you’re Jewish or not. Jennifer is the only one in her first-grade class who is Jewish, and the only one who makes Hanukah decorations while the rest of the class makes Christmas decorations. Jennifer is so excited to be the “only one” that she goes home and starts a club called the “Only One Club.” The next day at school, her friends as about her badge and ask to join her club. Jennifer is confused about what to do. She realizes that all her classmates are the “only ones” of something, and makes them badges and invites them to join. The message of the book was clear without being preachy. I read the book to multiple 1st-3rd grade classes, and we had interesting conversations about what Jennifer should do. Rather than focus on the specific aspects of what makes Jennifer different, the book celebrates everyone’s uniqueness. Engagingly written by Jane Nailboff and nicely illustrated by Jeff Hopkins, The Only One Club is the story of a young girl named Jennifer who is the only Jewish student in her first-grade class. When the other first graders are making Christmas decorations, the teacher tells Jennifer that she can make Hanukah decorations instead, and be the first to hang them on the classroom windows. Happy to be singled out, Jennifer creates “The Only One Club”. When her classmates want to join her exclusive club, she resists at first – then realizes each of her friends is also “the only one” at something, and makes badges for everyone, celebrating each person’s unique qualities. The friendly illustrations emphasize an upbeat and positive message about the value of differences and the importance of tolerance and acceptance. Jane Naliboff’s The Only One Club also deals with another potent coming of age issue, this time for young Diaspora Jews who grow up in isolation from others of their religion. When Jennifer Jacob’s first grade teacher suggests each student design some Christmas decorations, Jennifer discovers that she is only Jewish child in her class. She then creates “The Only One Club” for herself. But when all of her classmates beg to join she realizes that everyone is “the only one of something.” The story is sweet and nicely told, with colorful illustrations that bring the characters alive. While being the only Jew is not always as rosy as this book makes it seem, Naliboff’s story is optimistic and heartwarming, helpful in telling grade-schoolers that it is okay to be different. I hope my child has the self-esteem and Jewish pride that fictional first-grader Jennifer Jacobs demonstrates when she finds out that she is the only Jew in her class. Rather than going home to cry, she creates a club for herself, complete with one glittery membership badge. When her classmates want to join the exclusive club – called, like the book, The Only One Club – Jennifer is faced with a dilemma. With the help of author Jane Naliboff, she resolves it with great diplomatic flair. Much enhanced by the bright, dynamic illustrations of Jeff Hopkins, this well-paced story inspires tolerance and mutual respect among diverse populations. I especially appreciated the subtle de-emphasis of race and ethnicity, and my daughter laughed at Jennifer’s choices of unique qualities to highlight in others. When Jennifer’s class begins to make stars and trees and candy canes for Christmas decorations, she discovers she’s the only Jewish student in the class. Jennifer’s teacher promotes a great solution: make Hanukah decorations. In Jane Naliboff’s fictional children’s picture book The Only One Club, Jennifer discovers that all of her friends are “the only one” at something. She chooses the solution any 6-year-old would choose. The 30-page hardcover, with dust jacket, includes the child-friendly, colorful artwork of Jeff Hopkins, which brings Jennifer and her friends to life. Jane and Jeff know about being the “only one” at something special (read the back flap) and, therefore, are the “only ones” allowed to create this book! How Jennifer deals with her difference shows that each child can feel respected and valued for being unique. The story comes to life through Nabiloff’s true-to-life dialogue and Jeff Hopkins’ colorful mixed-media illustrations. Independent publisher, Flashlight Press, is devoted to exploring “the touching and humorous moments of family interactions and social situations.” While I can be leery about books that discuss issues, I found titles in this catalog that addressed very particular moments in a child’s life, moments where a book would be most helpful. In “The Only One Club” by Jane Naliboff, for instance, a group of first graders are assigned to make Christmas decorations. Jennifer tells her teacher that she is Jewish. “Are you the only one?” her teacher asks. It’s a moment that would make a lot of teachers cringe, but surely is played out in classrooms over a variety of subjects. “…it looks like you are. You can make Hanukkah decorations instead.” Thankfully, Jennifer has iron clad self-esteem and turns her Jewish heritage into a badge of honor, creating a button with “The Only One Club” on it and wearing it to school the next day. In an interesting twist, Jennifer becomes the one to exclude others. That is, until all the children look for ways that they are ‘only ones.’ Their young minds find lots of differences that extend beyond skin color and ethnicity. It’s an excellent way to have a discussion about the issue of difference with young children, as well as elicit suggestions for how to treat differences in the classroom. Spunky first-grader Jennifer realizes she’s the only Jewish child in her class, and instead of feeling lonely, decides it’s an honor to be singled out. Later, she concocts “The Only One Club,” but realizes it’s no club with only one member, and hands out membership badges to the other students. 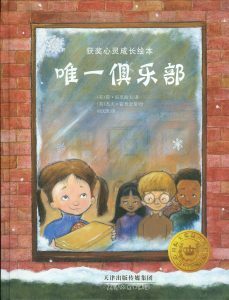 One is the only child with red hair; another “is the only girl who wears a dress every single day, with ribbons to match.” Yet another is “the only one in our class who was born on a bus.” Young readers will try to think of attributes that make them unique, and may even look beyond race or culture for special qualities in others. Celebrating diversity of the holiday season: Authors’ messages touch on religion, music and gift-giving. 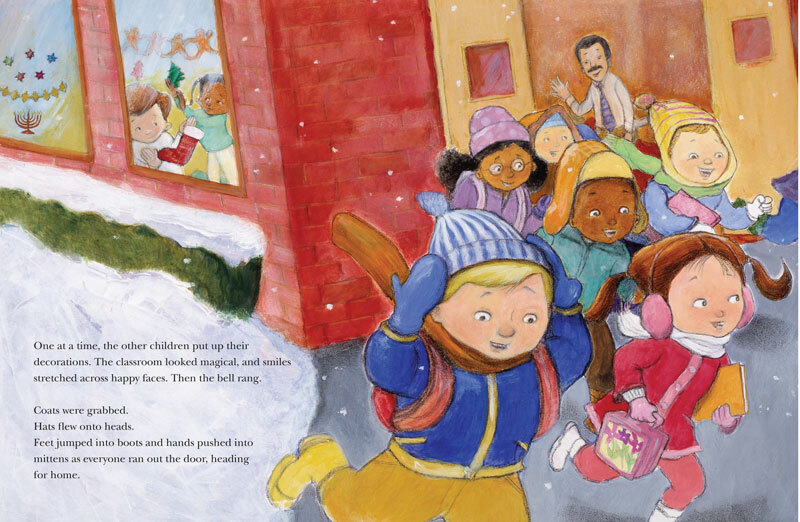 Brave Jennifer Jacobs, heroine of The Only One Club by Jane Nabiloff (Flashlight, $15.95, ages 4 to 8), raises her hand when her teacher suggests the class make Christmas decorations. Jennifer is Jewish. And in this classroom, in many classrooms, she’s the only one. Jennifer turns her uniqueness into an asset — finding something special about each of her classmates — which is a great lesson to share during this holiday season. One way to resist the pressure brought by the intense commercialization of the season is to make it special by keeping personal traditions alive. …it’s hard not to like The Only One Club. It is a story about the importance of individuality and understanding differences… Written for young children, The Only One Club features terrific pictures, bright and snappy. And even if the message is nothing new, in a world filled with intolerance and hatred, it’s a message we could all do with hearing again and again. When her teacher announces that it’s time to make Christmas decorations, Jennifer discovers that she’s the only one in her class who is Jewish. Jennifer is not just undisturbed by her difference, she’s proud of it. She raises her hand right away to explain the situation to Mrs. Matthews, and while making Hanukkah decorations instead, she patiently explains to a curious classmate why her construction paper star has six points instead of five. At home, she creates a badge for “The Only One Club.” She wears it to school the next day, and soon the whole class is clamoring to join the club. That’s when Jennifer learns that everyone is “the only one” of something. The gently instructive story is complemented by illustrations in pencil, acrylic, watercolor and pastel that buoyantly capture the distinct characteristics of each child. The other children’s differences — the only redhead, the only one with a pet iguana — skip the potential multicultural message, but do show that difference comes in many forms. Jennifer’s admirable response to her uniqueness sets a good and believable example. While far from the first picture book to address such diversity issues, this is a nice addition to the genre. It’s Christmas time, and Jennifer’s teacher asks the class to make decorations. Jennifer proudly announces that she will make Hanukkah decorations, because she is the only Jewish girl in the class. That night, she goes home and makes herself a glittery badge that says “The Only One Club.” The next day at school, her classmates want to join her club, and they try to convince her that they, too, are the only one of something. Jennifer doesn’t want anyone else to join. But when she hears the other kids talking about setting up their own club, she realizes her mistake. She goes home and makes glittery badges for everyone. This book takes a unique approach to differences. Instead of portraying a character who feels bad about being unusual, it starts with a character who is too full of pride about her exceptionality. Although Jennifer has a lesson to learn, still her pride inspires others to notice and enjoy their own differences. When Jennifer Jacobs’s class begins to make Christmas decorations, she discovers that she is the only Jewish student in her class. Instead of feeling isolated or ‘weird’ she decides to bask in her uniqueness by forming the Only One Club. However, as she soon discovers, each member of her class is unique in their own way, and only one of something. One by one, she begins to accept new members into her club – until the entire class is a member of the Only One Club. 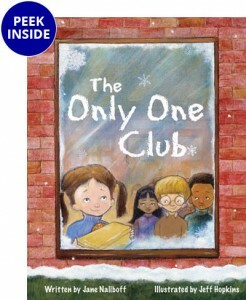 The Only One Club is a children’s picture story book that was written by Jane Naliboff. The story is accented with intriguing, warmhearted illustrations by Jeff Hopkins. Tolerance is a trait that can be both hard to learn, and even harder to teach. In a few short pages, Naliboff manages to convey that being different can actually be an asset, and that everyone is unique in their own way. More important, Naliboff manages to present a clear and understandable lesson that teaches the importance of being accepting of other people’s differences. Written for children ages 4-8, The Only One Club is both entertaining and educational. Best of all, this is a great read aloud book, and an ideal book for new readers. In the story, Jennifer is the only one in her class that was Jewish. For myself, I’m the only one in my family with one blue eye and one brown. What are you the only one of? The Only One Club by Jane Naliboff is an inspirational illustrated picture book that might very well be a better recommendation at Christmastime. And yet, since it’s a story which crosses cultures, why not cross seasons as well and recommend it now? When Jennifer, a first grader, realizes that she’s different because she’s the “Only One” in her class who is Jewish, she starts The Only One Club. Naturally, she’s the only one who can join until others point out to her that they might be “Only Ones” too. Check out this book to see how quickly her exclusive club attracts members. The message in this book that we ought to celebrate rather than condemn individuality, encourages us to look beyond those differences to find the unique qualities that each of us has to offer. I strongly recommend that you add this one to your collection and use it as a tool to help foster tolerance and respect for all people. Ask your children what quality they have that might make them eligible for Jennifer’s “Only One” club. I think you’ll enjoy this little treasure! It’s scary feeling different . . . not monster scary, or falling out of bed scary. Not darn-I-forgot-my-homework scary either. Feeling different can set you apart . . . maybe the rest of the kids won’t like you kind-of-scary or they’ll make fun of you kind-of-scary. But in The Only One Club, Jennifer uses her “different-ness” to her advantage and soon all of her classmates are looking for ways to show how they are different, too.Together, author Jane Nabiloff and illustrator Jeff Hopkins provide a fun and comical vehicle for young readers to realize and acknowledge the differences of others, while they are encouraged to examine their own differences. Look at Niki and Nina. They are the “only” identical twins in Jennifer’s first grade . . . and no one has a gazillion freckles like Jonah McBride! Then, don’t forget Steven Whittier and his humongous teeth! Now, who can match that? Each of us is different, each in his or her own way, and so, in so many aspects, we all belong to an “only one club.” So, take a look at your own self and join a club, even if it is an Only One Club. The Only One Club begins in an unprepossessing fashion and the premise is a simple one: Jennifer is the only Jew in her class and so when it comes time to decorate for Christmas, Mrs. Matthews lets her make Hanukah decorations – menorah, dreidels and stars – and allows Jennifer to put hers up first. Problem solved. Right? Not exactly, because here is where the theme of this children’s book proves to be a bit more complex, there is a twist to the plot. Kids are complicated, headstrong and creative, and Jennifer goes home that night and cuts out a “large orange circle and carefully edged it with glitter. Then, with her favorite marker, she wrote THE ONLY ONE CLUB on it in big letters.” The book has taken on a whole new dimension. How can a club for one be a club? Adults might see that as a problem but not Jenny. Everyone can join because everyone has something that makes him/her an “only one”. Even the teacher, who has the good sense not to interfere, can join the club because by the time she discovers its existence she is the only one not in it. Wow! What a concept: a club of individuals. I love it! The Only One Club Puts It All Into Perspective: The Only One Club” is a delightfully refreshing take on individuality in the American classroom. Without attempting to be politically correct, author Jane Naliboff offers her readers a realistic context to discuss diversity without the typical exclusion that takes place when differences are a part of the equation. Naliboff underscores each of our unique qualities without preference for one over the other. The main character, Jennifer, is the only Jewish child in her class. She emphasizes her uniqueness by founding her own club, “The Only One Club.” As the other classmates aren’t allowed to join, Jennifer notices how inclusion, not exclusion, is the true solution to her dilemma of wishing to be separate, but equal. She seeks each classmate’s individual attribute and offers a membership to each one of them for being the “only one” to possess a certain quality. “The Only One Club” is a celebration of difference within a group setting. In the end, each person is allowed to celebrate his unique qualities — together with everyone else. I strongly recommend this book for its readability and its high quality treatment of a difficult subject. Each year schools are confronted with the question of how to approach the holidays without favoring one religious faith over another or making some students feel uncomfortable because their religious background is different from others. This December, the Anti-Defamation League is pleased to highlight two stories in which the holidays serve as a context for promoting understanding and acceptance of different traditions. In The Only One Club, a young girl takes pride in being the only one in her first grade class to celebrate Hanukkah. She helps her classmates to discover their own uniqueness and to actively look for special qualities in others beyond race or culture. The Christmas Menorahs tells the true story of how Jewish and Christian families in Billings, Montana stood together against hate following an anti-Semitic incident. Both stories will help educators and families to encourage appreciation of self and others in young children this holiday season. An optimistic tale about respecting differences, The Only One Club by Jane Naliboff, illustrated by Jeff Hopkins (Flash Light Press) opens during the holiday season, when Jennifer, the only girl not celebrating Christmas in her class, makes Chanukah decorations instead. She then names herself the only member of “The Only One Club,” only to learn that her classmates — each the only one of something — are eager to join. The Only One Club has been included in the booklist for the 2006 NSW (New South Wales, Australia) Premier’s Reading Challenge, a special initiative of the NSW State Government to foster a love of literature, improve literacy, and encourage children to read widely for leisure and for pleasure. According the NSW Premier, the Honorable Morris Iemma, “When the Challenge started in 2001–2002 there were 36,000 students involved; in 2005, there were over 226,000 students participating. …the number of students taking part in the Challenge in 2006 will grow even further.” The Premier’s Reading Challenge is presented by the NSW Department of Education and Training. See The Only One Club on the Challenge 3-4 Booklist. Mrs. Mathews’ class is making Christmas decorations for their room, but Jennifer is Jewish and is making Hanukah decorations. Jennifer makes herself a badge at home that says “The Only One Club” to signify that she is special. However, when she wears the badge at school, the other students want to join her club. What will Jennifer do?The illustrations by Jeff Hopkins show children with different skin tones and hair texture. This is especially true in classrooms across the country and gives children an opportunity to see other children like themselves in books. The facial expressions show a range of emotions and are very realistic. The text is conversational and easy to read.The way Naliboff deals with the need for each child to feel unique and special is touching. She effectively uses Jennifer to explore a child’s feelings about being different and what happens when feelings are hurt. During the holiday season, Jennifer Jacobs discovers that she is the only Jewish student in her class. She is thrilled and so creates The Only One Club, of which she is the only glittery-badge-wearing member. When her classmates want to join her exclusive club, Jennifer at first resists, but she later realizes that each person is “the only one” at something. She makes glittery badges for everyone and distributes them while revealing the quality that makes each friend “the only one.” This book will encourage children to discover and treasure their own uniqueness and to look for unique qualities in others. As the sole Jewish child in her class, Jennifer establishes “The Only One Club.” When others want to join, she discovers that every other child in the class is, like her, unique in some way. This picture book takes a refreshingly positive look at being different. Grades 1-3. Jane Naliboff is the author of The Only One Club, illustrated by Jeff Hopkins. 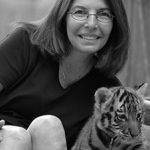 Jane’s fiction, nonfiction, photography, and poetry have been published in Spider, Cricket, Hopscotch, and Boys’ Quest magazines, and in literary magazines and newspapers. Her writing has also been sold to Educational Testing Services, People’s Publishing Group, West-Ed, Measured Progress, Measurement Incorporated, and SIRS Publishing. She is the author of the adult humor book Kids Will Be Kids: Excellent, Tried-and-True Reasons for Thinking Twice About Having Children or Why You Might Want to Rent Them Out on Weekends (Cumberland House, 1997). Jane lives with her family in a historic farmhouse in rural Maine. You can read more about Jane on her personal website. Jeff Hopkins is the illustrator of The Only One Club by Jane Naliboff. 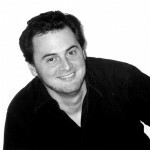 Jeff has done illustration projects for educational book publishers, magazines, and advertising agencies. Other clients include Young & Rubicam, The Keith Haring Foundation, New York Law School, BBDO Inc., Magnet Pictures, and Curious Pictures/ Nickelodeon Networks. He has also worked as a Museum Education Consultant for the Whitney Museum of American Art and the Museum of Modern Art in New York, where he served as artist-in-residence for a year-long after-school art program for Kindergarten through Grade 2 students at a Brooklyn, NY elementary school. Jeff lives in Brooklyn, New York. You can read about his masterful storytelling performances on his personal website. Error: Error validating access token: Session has expired on Sunday, 23-Sep-18 01:36:16 PDT. The current time is Friday, 26-Apr-19 01:33:03 PDT.